This weekend we held our famous Christmas Tree Light Switch on events at The Hesketh and Puss in Boots and what a wonderful time we had! Despite the cold rainy weather, both Cheadle Hulme and Offerton communities did not disappoint and people came in their hundreds. Huge thank you to our special Santa and his helper who managed to delight dozens of hopeful children in his (slightly cold but dry!) Grotto. Your donations on the Grotto alone raised £337 for our charity! Children enjoyed getting their faces painted, bouncing on our giant bouncy castle, playing in the Hesketh’s play trail and Puss’s mini park as well as buying festive goodies and cupcakes from our charity stalls. Thank you to everyone who kindly donated raffle prizes and bought tickets. Our raffle was hugely successful thanks to your generosity. We were entertained by Rob Keen, Martin Bellis & Stockport Silver band, all of whom kept us in the festive spirit with their Christmas music. 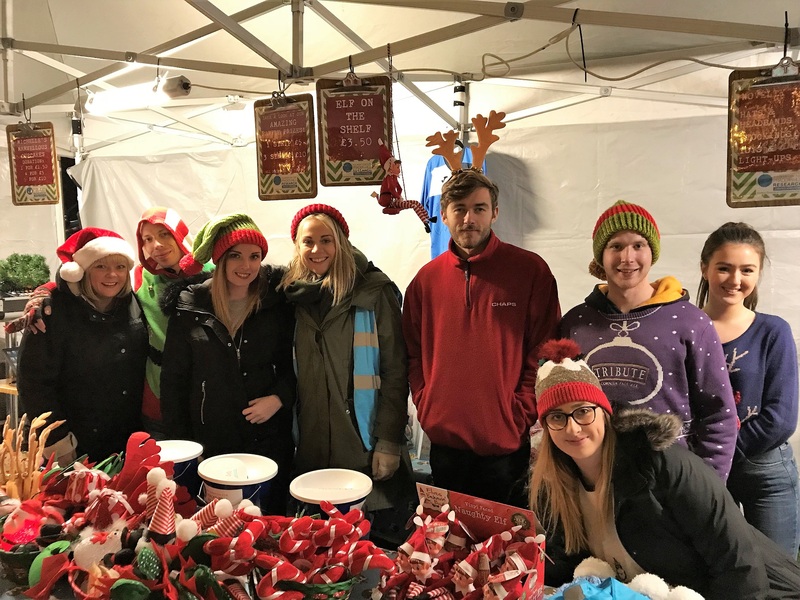 Every single one of our wonderful team members worked extra hard to ensure the event went smoothly and you were well looked after so huge thank you goes to our managers, the event team and all the elves working on the day. As some of you know, our chosen charity is Foundation for Prader-willi Research, the UK based charity who fund research into PWS. Vicki Almond’s daughter Bella has PWS and Almond Family Pubs raise money through our events throughout the year. Thanks to your generosity at both events, we raised nearly £2000 for FPWR UK for which we are grateful, thank you so much. Our Christmas Tree events always make us proud of the team, the pubs and what fantastic community spirit they bring, whilst marking the start of the festive season. Here’s to a very Merry Christmas to you all.